Could you tell us a bit about yourself, what you sell at Pzella Accessories and how you got started? Sure! Back in 2015 I was going through a massive costume jewellery phase…until I learned that there can be some pretty nasty materials added into the process (i.e. nickel, lead, etc.). Having sensitive skin, this lead me to research about “eco friendly alloy,” aka nickel and lead free jewellery, which is better for the environment and the wearer. I knew I had found my niche product to base my store on. After that Pzella Accessories was born. A LOT of research about the different materials used to make the items (even our scarf and headwear range has all been heavily researched). Also, learning how the manufacturing process works, particularly in terms of knowing to get contracts drawn up, asking about prices “FOB”, asking to see certification, etc. Originally I bought everything upfront (massive no-no in hindsight) but I’ve since moved to a hybrid strategy of half dropshipping and half holding some items in stock. Interesting! Can you share a bit more about how that hybrid approach works? So my hybrid approach is that I’ll hold some of my stock stock in Australia (where I’m based) where I haven’t been able to enter into a dropshipping arrangement with the manufacturer OR because the item is selling quicker and I want to cut down on shipping time to the customer. I tend to dropship products or new lines that I want to test out or that are incredibly on trend/demand (such as scarves for winter or certain designs) so that way I don’t need to buy a ton of stock on the guess that it will sell and then have it sitting around if it doesn’t. I posted about my store in a Facebook group and one of the ladies in the group bought an item for Christmas. It was a blue butterfly crystal necklace, I can’t forget that one! Discovering the “build it and they will come” philosophy doesn’t necessarily work for an ecommerce store, as well as finding the right demographic. I chose to use shopify because it’s so easy to set up and get a store going. Due to it being so well known, it also tends to integrate easily with a lot of analytics software which is great as well. It took me a good three months to get everything ready to launch (from branding to product sourcing to building the website, etc). I probably wish I’d known about dropshipping a little earlier as I could have put the money from the unsold stock into the marketing budget to give it more of a push. Google Analytics is no.1 - if you don’t have data, you don’t have insight. 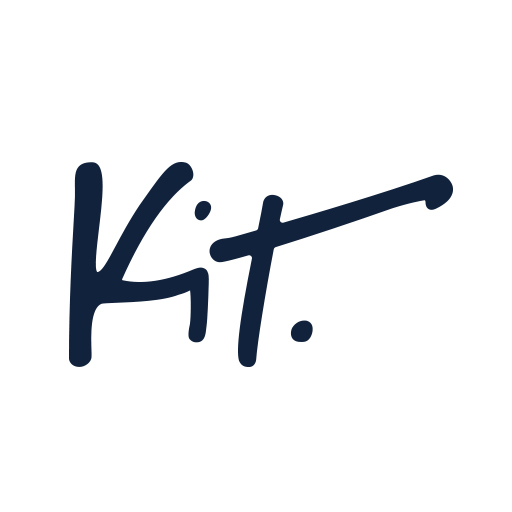 Kit is also handy in that it works like a VA and also spots sales trends for me. What strategies have you used to attract more leads and grow Pzella Accessories? What process have you used to locate and connect with the right contacts or influencers with whom you’ve worked? Any advice? Facebook groups have been my best way to find other brands to collaborate with - there are groups just for store owners and its simply then a matter of researching their brand and sending them a DM. I’ve been approached by people looking for items for shoots in the exact same way. If I can offer any advice on brand collaborations it would be to research the other brand and make sure that a collaboration would be a natural fit for the both of you. I primarily use Facebook and Instagram. I also interact a lot with my customer base at market stalls as well. We grew by 50% during the first half of 2017 compared to our entire year in 2016. More of a marketing spend and the time spent developing a more cohesive brand and market presence. Introducing Afterpay has also helped as well. I’m really focusing my efforts on growing the store further and gaining more market share. I’d say my top three would have to be Growthhackers, Reforge and Neil Patel. Look into dropshipping before you consider buying your stock outright. Also, do your market research and take the time to make sure you have a great product. Thanks so much! Where can we learn more? Our website is www.pzellaaccessories.com. You can also find us on social media, including Facebook, Instagram and Pinterest.